I love my husband’s coffee. He makes a full pot of strong coffee every day that we share. I choose to sweeten mine up with almond vanilla creamer. Having my morning coffee is a ritual that I rarely miss and I enjoy starting my day this way. No need for a fancy coffee house for me. As I do with everything I consume lately, I evaluated how much waste is produced for this particular vice of mine. My family tends to end up with a variety of coffee brands and we often have to toss the packaging in the trash because it isn’t recyclable in our town recycle bin. After that though, we have no landfill waste. The grounds and the natural paper filter go in the compost bin. I have much room for improvement with regards to the packaging of the coffee I consume and the creamer (which I am addicted to) that I purchase at the grocery store (in a plastic jug, no less). I have never owned a Keurig but totally understand the attraction to such a simple device that produces just the amount of coffee people are looking for. This blog post is not about judging the choices people make. 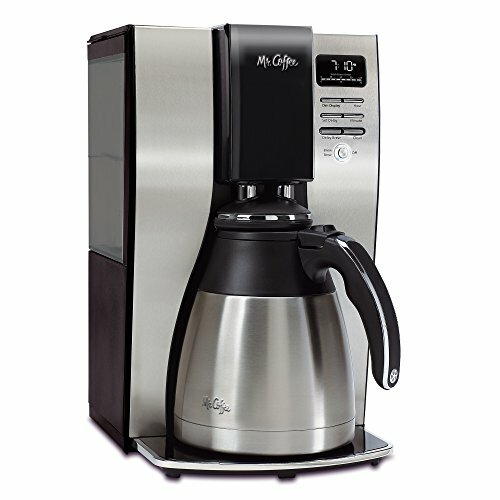 I am writing this because I have had a few people ask me about my take on the waste produced by the individual serving coffee products for the Keurig. I was recently presented with the following question so thought I would share . . . "I LOVE my Keurig. I think many of us would like info on loving our "pods" while going greenish. Any practical suggestions?" So, I’ll dive in here and hope to provide some resources to help with this issue. Some quick research leads me to suggest a one-time purchase of reusable, refillable pods. To do this requires creating a habit of advance prepping them for a week of busy mornings. This may not work for everyone but living more environmentally friendly is a slow process of creating new habits. K-Cups and other brands that work with the Keurig can range from $0.30 to $0.45 and even more for compostable pods. For $9 a set of 4 reusable K-Cups can be purchased on Amazon. If you purchase two of these sets for $18 you could fill them ahead for the week and take advantage of the convenience of the single serving fresh brewed coffee. So many variables go into when you would break even financially on the initial cost of these reusable pods but calculating the positive environmental impact is very simple. The return starts after 8 cups of coffee. Is the answer using recyclable K-Cups? I don’t think so. 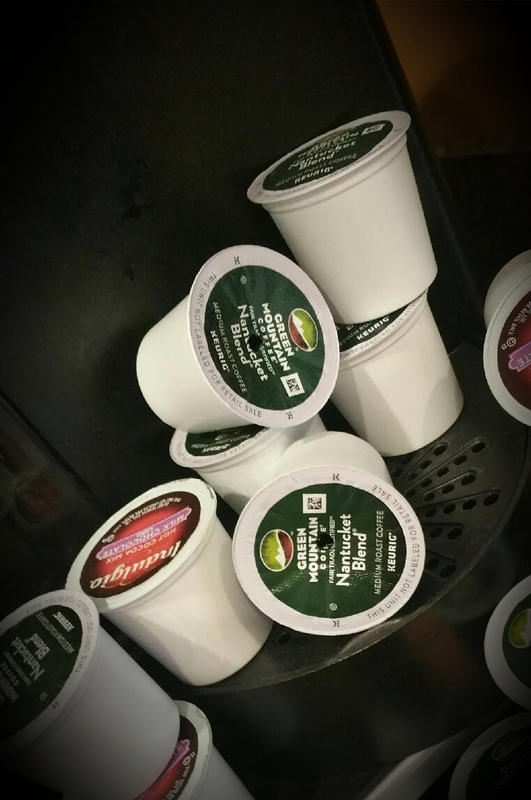 The good news is that Keurig Green Mountain is now making K-cups recyclable. The bad news is that 9 billion single use plastics are still being produced to provide a beverage that could easily be a zero plastic consumable. And sadly, much of the worlds plastics do not end up being recycled and much of this waste ends up in our waterways. Additionally, plenty of other brands of plastic coffee pods are purchased that are still not recyclable. Here is a great article that provides background about the company that makes Keurigs and the environmental impact of the pods. A number of coffee pod options are available online that are compostable with recyclable packaging. Even if you don't compost, these will at least reduce plastic in the world which is always a very good thing. Their pricing seems to be similar to or slightly more expensive than the plastic pod choices. 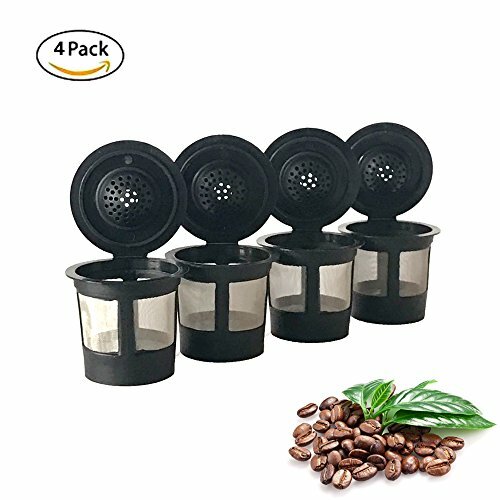 So, if you are not thrilled with the idea of prepping your own refillable coffee pods, this might be something to try if you are concerned about your contribution to the production and disposal of plastic. If you compost, this is a wonderful option but it might cost a bit more per cup of coffee. 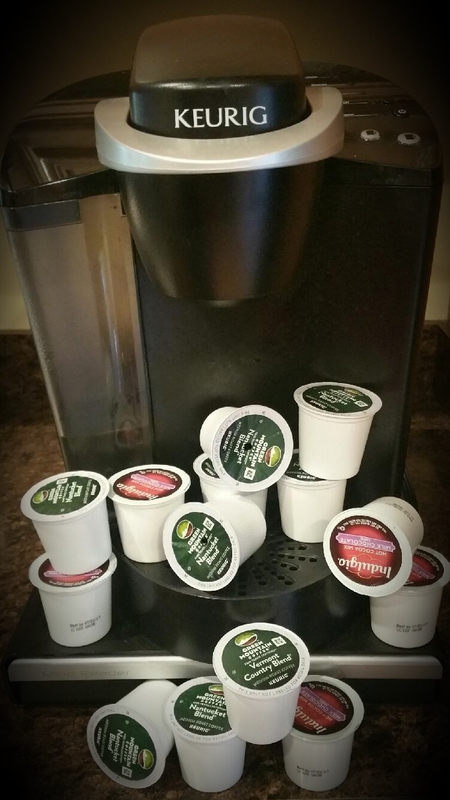 What are you using in your Keurig? Are you composting your pods? Do you use refillable coffee pods? Let me know what your practical suggestions are.